My relatives are practically professionals at the whole "Yeah, my closest relatives decided to move as far away from me as humanly possible, and I only see them once every few years" deal. 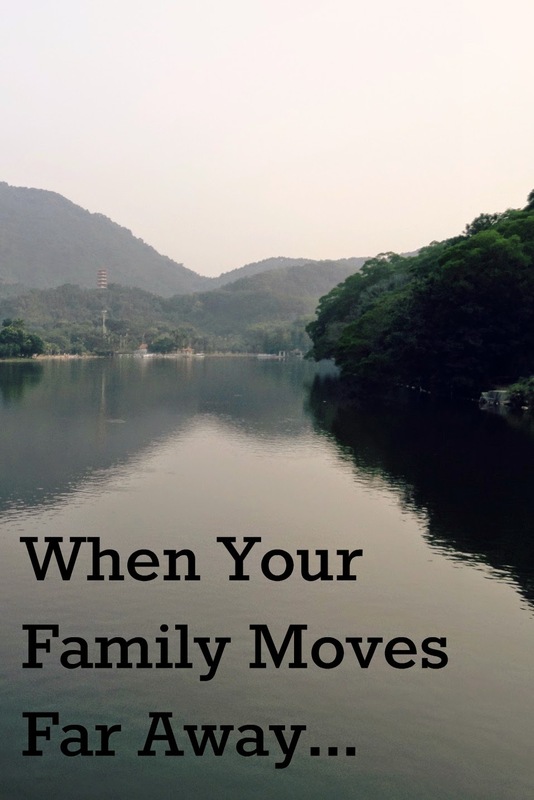 But to loved ones recently blindsided by news of an upcoming move abroad, it can be hard to know how to deal with the huge change in family dynamics or relationships that the move brings. I've written in the past about how I think that family members left behind by expats get the worst end of the deal. Both the people who leave and those who are left need to able to acknowledge to themselves that this choice of lifestyle necessitates a loss on both sides. Today, I'm coming to you with some suggestions for how the family left behind can best continue to maintain relationships with the ones who move far away. 1. Remember that email is a two-way street. It's easy to say, "You never update us!" or "You never call! "...but before you do, contemplate whether you yourself have taken the initiative to email or call your family member. Ideally, yes, they will remember to contact you regularly, and stay in touch, but it's important to remember the mathematics involved: you lost one person. The person who moved, lost many, many people. They are now responsible for staying in touch with siblings, parents, grandparents, friends, aunts, uncles, etc. You can simplify things if you simply write to them whenever you want. I'm a blogger, and probably every single person I know in real life knows that I blog and could find my blog address. I try to manage staying in touch by sending out newsletters to my nearest and dearest every few months, as an easy way of keeping everyone informed on life changes or big events and inviting them to update us on their own lives. A few, very few, faithful people will respond to my newsletter and tell me what's going on with them. I crave these responses, because I want to know! About 90% of those who receive my newsletter don't respond. My guess is that they think they have nothing interesting to say--but I can guarantee you, if you are related to me or are my friend, I want to hear about how your life is going. It's simply nearly impossible for me to psychically know when people have news they might want to share with me and send out dozens of personal "Hey, what's up with you?" emails on the regular. The only avenue I have to finding out what's going on in my friends' and families' lives is Facebook, unless they choose to respond to my emails, or, unless, as I sometimes do in cases involving my siblings, I hound them with repeated messages demanding a response of some sort. Basically, don't be scared to just get in touch with us and tell us about how you're doing. Your life is not "boring" to me just because you're in the same spot you've always been. But, also, I won't be mad if you don't email. I know that sometimes life is too busy to waste in front of a computer screen (I just typed that). 2. Care packages are overrated. Okay, this is total personal opinion. Care packages are sweet, and I'm really impressed by everyone who goes to the effort and expense to put them together and send them out. But I tell my family honestly not to bother sending us care packages--so if your expat relatives tell you not to waste your time and money, I'd err on the side of believing that's the truth. Care packages lack a great deal in practicality--from problems with getting held in customs for weeks or months, getting delivered to the wrong expat, items breaking and spilling en-route, postage that's far more expensive than the items in the package...they're just not ideal. I like American candy as much as the next girl, but American sweets and boxed treats are really not good enough to be worth the effort that a care package takes. If you honestly love sending them, go ahead and do it--it's fun to get treats in the mail, of course...but if I had to choose, I'd choose emails. 3. Asking "When are you coming back?" rarely leaves anyone feeling great. Let me guess, you're not going to appreciate an answer like, "Never" or "We have no trips to America scheduled" or "Maybe in 3 years." Chances are, your expat relative doesn't especially like revisiting the sensitive topic of homesickness and missing family, either. There's almost never a good reason to ask about plans to return, because I can pretty much guarantee you, unless they are planning some sort of epic surprise, or unless a negative kind of emergency necessitates a quick trip back, your expat relative will inform you of their plans to return as soon as they buy plane tickets--possibly even as soon as they're scheduling a trip, they'll call you to discuss possible dates. If they aren't talking about it, they aren't planning to schedule a trip back. This falls under the: "If you don't want a no answer, don't ask a no question" rule. I mean, you can still ask the question. I don't believe in legislating the sorts of questions people are allowed to ask (I know it's controversial, but I don't even mind it when people ask when I'm going to have a baby). Just know that this is a question that doesn't tend to lend itself toward happy conversation. 4. Remember that just because they aren't there, doesn't mean they don't love you. I mean, it's possible they don't love you. I don't know your family. Do you all love each other? The choice to move abroad quite possibly has absolutely nothing to do with you. Sure, you, the one left behind, are the one who suffers quite a bit because of the choice--but in all probability, the reason that they aren't present for the big and small occasions of your life isn't because they don't love you--it's just because you happen to be related to someone who chose a lifestyle that doesn't involve close proximity to you. They may, and hopefully do, love you very much. I sometimes wonder if the whole immediate family will be present at my siblings' future weddings and college graduations. No one can predict the future, but I'd say the odds look pretty slim right now. It doesn't mean we love each other any less--it just means we're a family who have ended up spread across the globe. 5. Try not to be sad when they find happiness and adventure and community and purpose and contentment...thousands of miles away from you. I know it's natural. It would be easier to accept your expat relatives if they were just a little more homesick and a little less in love with where they live now. I know that doubts start to creep in. You might wonder why you and your little town weren't good enough. You wonder why they couldn't be this happy when they lived a mile away from you. Again, this is one of those times when you can't take it personally. Some people don't flourish in some places. I thrive in ShenZhen in a way I never did in Michigan, no matter how much I loved the relatives I lived close to. Yes, it's expensive, and possibly uncomfortable. It's not possible in many circumstances. I wouldn't hold it against you if it never happens, and I don't even expect it to happen. But, man, when it does work out for you to come and visit, it's amazing. Having those who have known us longest visit our new home feels like a dream come true. My parents are going to spend a few days with us next month. We're thrilled. Angel said that the reason he's so glad they're coming is because if they weren't, that would mean that no one from any other season of our lives would have the chance to really understand our life in China and how much this has meant to us--that none of our "people" in China would ever meet any of our "people" from the rest of the world. Because my parents are visiting, that means at least two people in our community outside of China will have an idea of what we mean when we talk about ShenZhen. That means a lot. Thanks for doing what you do, people who stay. We need you. Doing the expat thing without you is something I don't even want to contemplate. Whether you're the leaver or the left--do you have any advice to offer on managing family and friend relationships when physical presence isn't an option? I'm sure this is a really hard topic. I cannot imagine being so far away from loved ones, but I may have to do it one day too. My husband has recently had a stirring in his heart for possible missions in the future. We will see what God does! And I love your last point about how special it is to have people visit. Even though I only live 6 hours away from my family, it always means the world to me when they come to visit and get to be a part of my world. It is a huge blessing! Nice post and seems like it would be very helpful for loved ones to read. I moved from Northern Cali to Southern Cali, and although it was only 360 miles away it was hard for my family at first, but I've built my life here, married, had kids so it's all good for everyone. Aw, these are great tips. My sister moved to Australia a year ago and I've had to really try to be mindful and understand! I sometimes want to guilt her into coming home, but refraining! This is great! I have a friend who is making a big move this summer and I'm sending this her way! I'm lucky to have all of my relative close to me and thinking about them moving far away makes me anxious! You have great tips but I think it would still be hard for me! Number four was something I had to remember when my sister was in Africa during the birth of my first baby. Even though I missed her I felt strongly closer to her when she came back to the U.S. Yes to six! I wish family members had visited us more often when we were in Germany. Not only would it have been great to have more time with the family, but it is such a gorgeous country! The thing about moving to another country, is while those left behind may miss you, for the person who moved, it can be incredibly lonely. It's hard to uproot your life, and sure after a while you fall back into the swing of things, but it's always nice to have a visitor or two! These are great! I can relate to so many of these from when we were living in Indonesia! loved this! such an interesting look into a world I don't really ever get to see. Wow, I could definitely relate to some of these since moving hundred of miles away for college. I admire you for sending out newsletters! The two-way street is a very important point--I sometimes feel like I'm the only one reaching out to my friends at home. I know people a lot of times assume I'm too busy to talk, but I can make time for my friends. I can see your reasoning behind the care packages--they brighten my day a lot, but it really can be hard to tell if what you send is actually what I like to eat, and I always feel bad when I see the postage price! 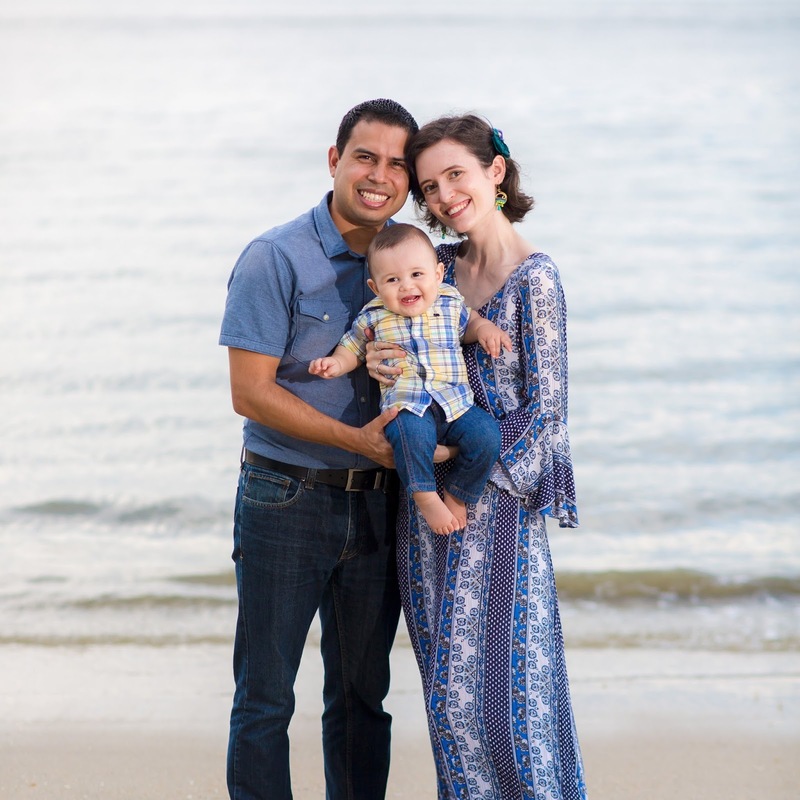 I also felt unnerved intially when I returned home for the first time in three months--it was unsettling that life had gone on just fine without me. But in the end, life goes on, and I should too. It doesn't mean that you've been forgetten--it just means that people have adapted. I had no idea you were in China, and I think that's so exciting! I'm going back this summer and can't wait. Props to you for being so courageous! Oh, and I also totally agree about the visiting--I really wish my friends could experience my world and I theirs sometimes. A different college is like a separate sphere. Advice-wise, I find skyping really helpful--I still talk to my best friend from home every weekend and my family every Wednesday via video call. This is great advice, Rachel. Even moving a few states over has made me rethink how I communicate with my parents (the rest of my family is elsewhere). My in-laws lived in Malaysia for a year and it was difficult keeping up with each other, but quick little emails and check ins help to fill in the gap until a longer phone call can happen. Excellent post, Rachel. I strongly agree with #1. As someone who travels frequently and for long periods of time, I have loved ones all over the control that I "lose" when I move away. I try to keep up with everyone, but it's just not possible without someone slipping grouch the cracks. It helps immensely when people take initiative to reach out to me. That said, I can always do a better job of not allowing he busyness of life prevent me from keeping in touch with loved ones. I needed this reminder. This is so true for me: 2 of my kids and I have been expats / immigrants for the last 6 years and my husband was one for the 7 years before that, and I hope to swap around again soon. I have to disagree on the care packages as we all love our chocolate bars from home so those are really appreciated! Also I can add, if you're going on vacation near the expat, either get in touch to meet up, or don't post on their Facebook page afterwards, 'hey I was visiting such and such attraction a couple of miles away from you!' One Facebook friend did that to me twice and it really upset me - not a very close friend (and much less so now!) but it was someone from home, and I would have loved to see someone, hear the news etc! And really be aware that sometimes a family just can't afford long distance travel at a few months' notice. Just because someone is living in a different country doesn't make them richer than you! Terrific advice - this should be mandatory reading for anyone moving abroad or who has a relative that is. I personally loved and was super grateful for the small number of care packages, some of which included food and supplements from Canada that simply wasn't sold in Ireland (where I was living) at the time, but in general do agree that they can be fraught with plenty of potential issues, not the least of which is the risk of having it stolen at some point en route. I hope you guys are having a great weekend. Thank you for another thoroughly informative, enjoyable post! This is so on point. My sister lives in Australia and its so true!! Great advice! Yes yes yes. I've considered no longer blogging because it's essentially how I keep friends and family back home up to date on whats going on, but I hardly ever hear news from them, even if I ask it's often just "same old"... I mean, my life here is "same old" right now, but there's still something I can say! Anyway, your tips are great, and is a great follow up to the previous post on the topic! Most of out family lives over seas so staying connected is important, but yet so difficult. It is hard for them to leave now that we have littles...next time you see my baby she will be 3...! And it is the truth. We just skype at often as schedules allow. As for friends, from my experience, life goes on without you and they FEEL like you no longer connect, and they assume you will eventually return - I did - and THEN you can be friends again. :) Oh expat life! I LOVED care packages though!